During a storm, rain gutters can be pulled away from the roof, leaving a gap. This can prevent water from effectively exiting the downspouts. 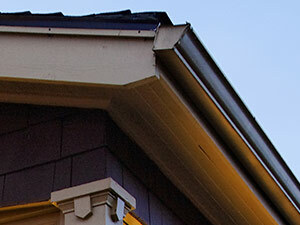 Gutter damage is also possible from trees or branches hitting the gutters or collecting in the gutters. Ice build-up and thawing is also damaging. Storm-damaged roofs and gutters should be promptly fixed or replaced to prevent a much bigger problem of water infiltration/saturation into the foundation and walls. Improperly working gutters can send a torrent of water to the home’s foundation and walls. Foundation cracks, even when they are minor, can cause catastrophic structural damage. Proper rain gutter setup is critical to effectively channel rainwater from the roof and through the system to keep from going into the walls, basements and crawl spaces, which can contribute to dampness, mold and foundation cracks. Gutter installation involves calculating the water runoff during a heavy rainstorm and assessing the extent of leaves in the area to properly size the gutters. If a gutter is too small, water damage can occur when heavy rains and leaves overflow the gutters. Sizing gutters too big will result in unnecessary costs. 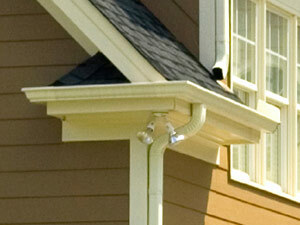 Guttering includes the labor, materials and necessary couplings, hangers and downspouts to complete the installation. 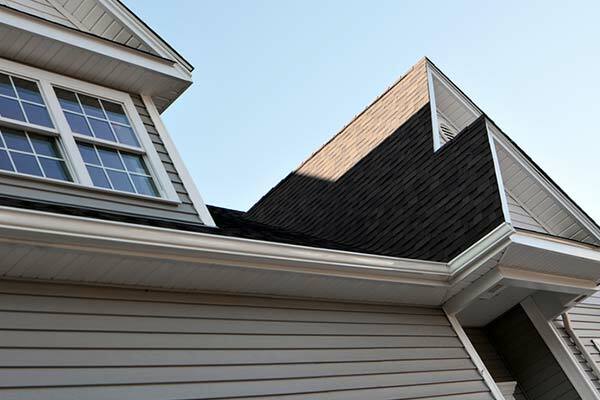 K1 Roofing and Restoration offers a wide variety of gutter systems. All the homeowner needs to do is specify the color, whether any downspout placements should be changed and whether a gutter guard or leaf guard system is desired. We inspect the fascia boards (the trim boards at the eaves) to determine if they are rotted and need to be replaced. Aluminum gutters never rust, even if they become clogged, and effectively channel water away from the house. We use heavier aluminum to custom fit the gutters to the house on-site and connect with the downspouts. We fasten the gutter system usng screws not the conventional type of long nail that can pull away from the fascia over time. The extruded aluminum is preferred over sectional gutters because leaky seams are minimized. Copper is typically reserved for historical home renovations. 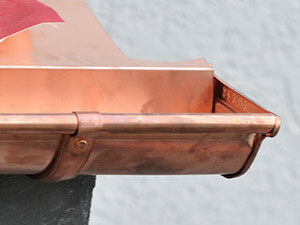 We can certainly put them on any home, the unique style of copper. It never rusts and will never needs painting. Copper color is prized for the green patina that develops over time. Steel gutters are typically used on commercial roofs. Oversized gutter systems and downspouts are used to handle the water coming off the large roof systems.